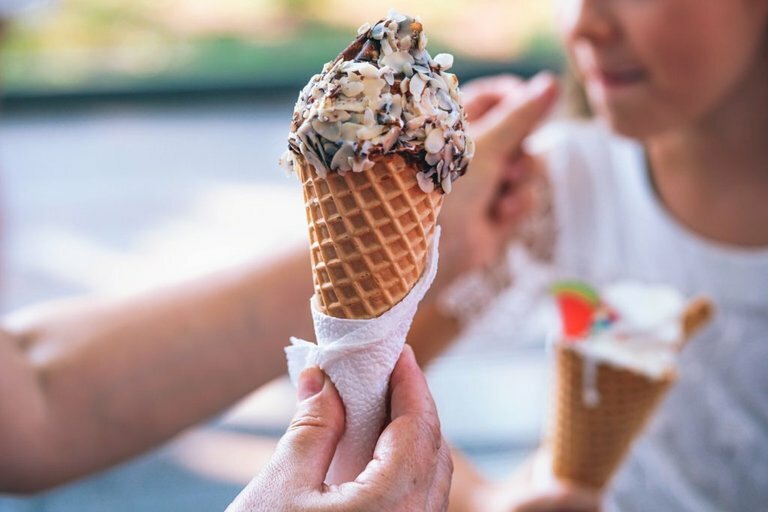 Will you dare to take the challenge? Looking for a thrilling and unusual present? 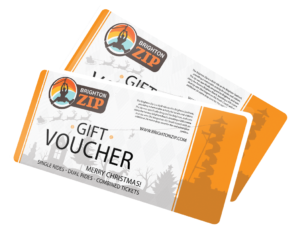 Why not gift a Zip ride? Our Gift vouchers last a year and can be used at anytime, delivered by post or direct to your inbox. The Zip is perfect for all of the family, friends, kids and grown ups alike! 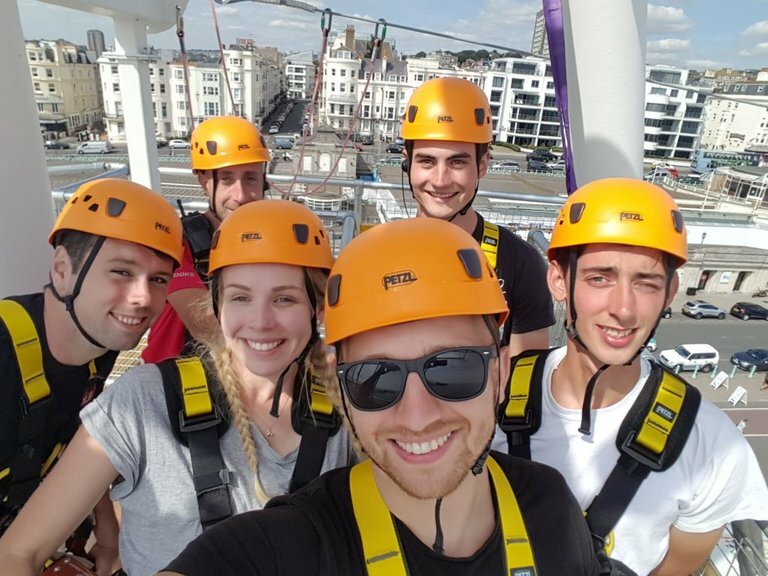 Adventure really has no limits so get their hearts racing and dare them to take the Brighton Zip Challenge! Buy a Gift Voucher Now! EMAIL UPDATES! Subscribe to our email listing to receive regular updates on opening hours, rates, and what’s going on at the zip! 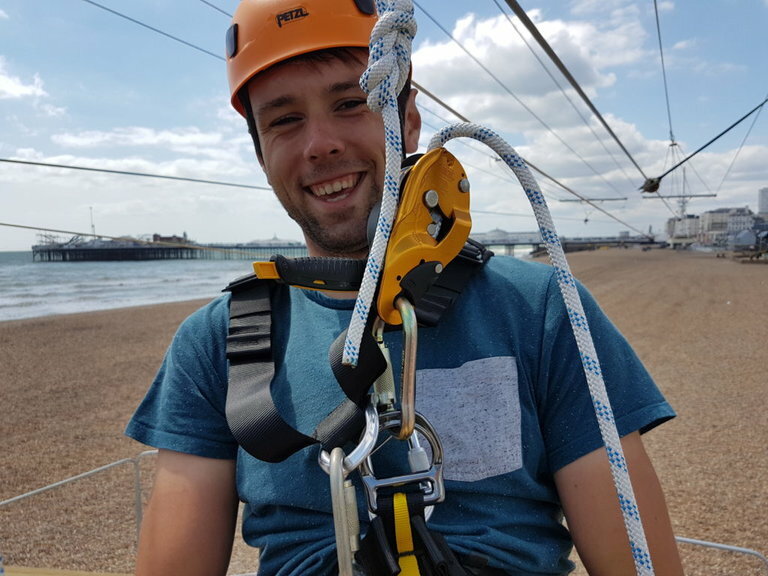 Welcome to the Brighton Zip, we are the longest and fastest zip wire along the South Coast! 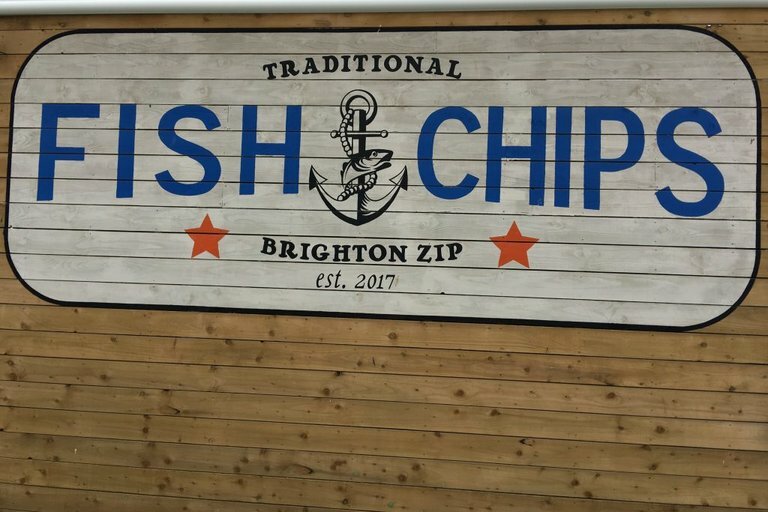 Brighton’s latest attraction, the Brighton Zip, runs along the famous Brighton Beach, boasting a 300 metre dual zip wire with a thrilling 24 metre drop zone. After climbing our impressive spiral staircase, you will reach the Zip Tower platform, where you are then 32 metres above sea level. The dual zip line means you can race against your friends and family into the hull of a boat landing stage 300m along the beach, reaching impressively high speeds. 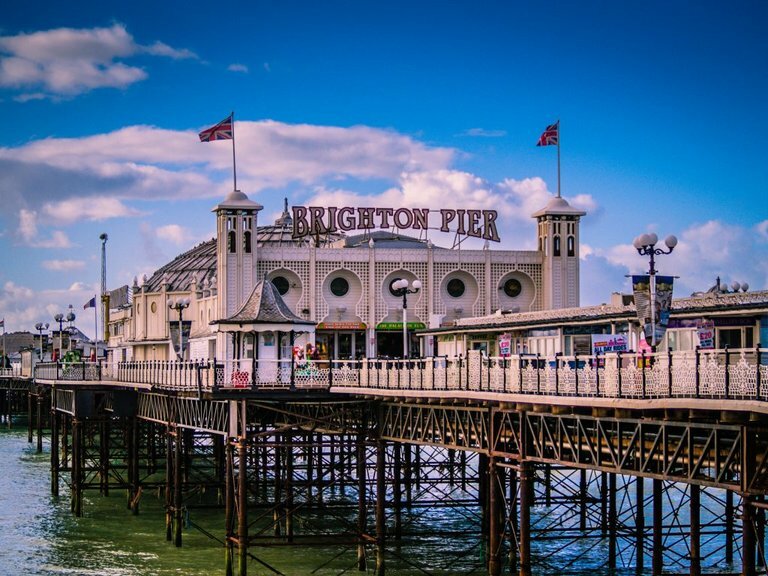 A great fun filled family attraction in Brighton, for all ages. LOCAL RESIDENTS! : Residents living in postcodes BN1, BN2, BN3, and BN41 are eligible for our resident discount! Available on walk-up tickets, upon presentation of proof of address. See our FAQ’s for further details. CALLING ALL STUDENTS! : Our student rate for a Single Ride has just kicked in, available on Walk ups upon presentation of a University Student I.D. card. I CONQUERED THE BRIGHTON ZIP! FAQ’s – Read our FAQ’s page for answers on weather conditions, refunds, and what to wear. 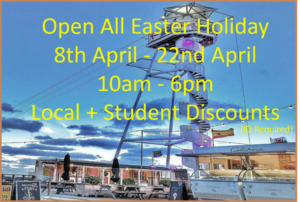 Please contact us directly, either via email groupbookings@brightonzip.com or telephone (Mon - Fri: 09:00-17:00) - 01273 671 405.